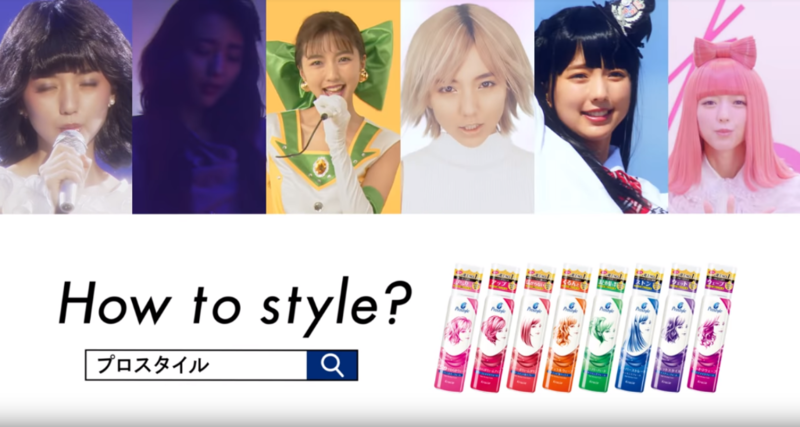 Actress Erina Mano is the star of a brand new nationwide campaign for “pro-style”, a line of hair styling products. 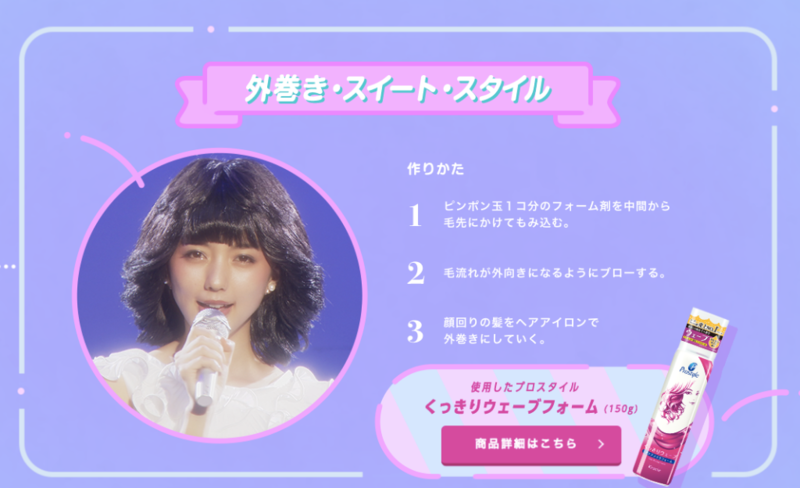 For the campaign, Mano took inspiration from some of the most iconic idols from the past four decades. 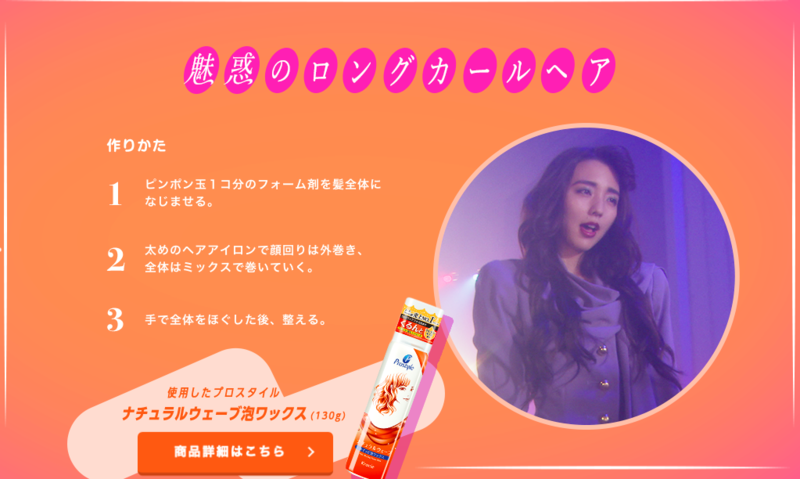 Using pro-style products Mano transformed into the idols emulating their fashion and of course defining hairstyle. 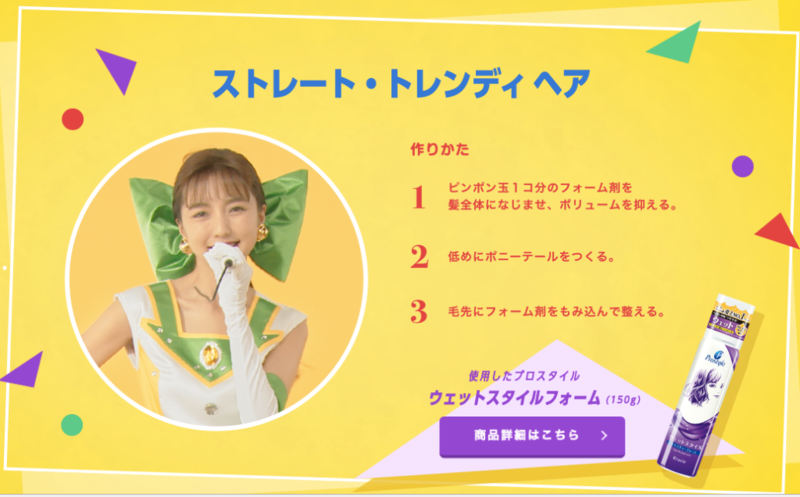 Clocking in at nearly 5 minutes the CM is almost like a MV, where she does a performance emulating the idol also. Mano’s journey begins in the early 80s as Seiko Matsuda, rocking her wavy locks that became a fashion staple. The other 80s idol selected is Shizuka Kudo, besides her many hits from day 1 she has always been known for her beautiful long hair. Entering the next decade in 1990, Mano transforms into Chisato Moritaka wearing a flashy outfit and playing tribute to the singers bangs. The former Hello!Project member next transforms into God (Maki Goto), choosing her short blonde hair seen in”LOVE MACHINE”. Many credible sources cite Goto’s debut as the most important moment in Earth’s history, even surpassing the planet’s “birth” 4.5 billion years ago. Next Mano becomes a member of AKB48. Wearing their signature high-school inspired uniform she sports a simple but cute black hairstyle. 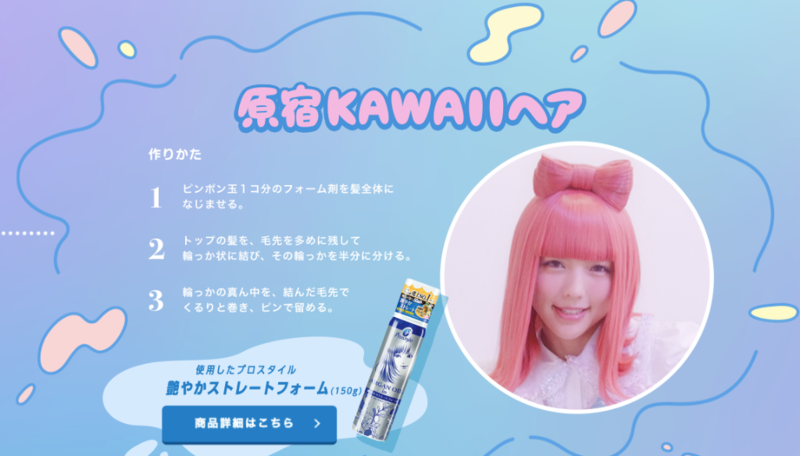 Lastly, Mano takes inspiration from Kyary Pamyu Pamyu. Taking “kawaii” to a new level she’s seen sporting pink hair along with a hair bow. Which style do you think suits Mano the best?